SAN FRANCISCO & LONDON – Oct. 11, 2012 – SEGA® of America Inc. and SEGA® Europe Ltd. today announced that a remastered mobile edition of Dreamcast classic Crazy Taxi™ is now available on the App Store for iPhone®, iPad® and iPod touch®. Start picking up fares and racking up crazy combos while rocking out to seven tracks from The Offspring and Bad Religion today for $4.99 on the iTunes App Store at http://itunes.apple.com/app/id553921725! Hit Free-runner Receives iPhone 5 Support, Improved Character Agility and Pit/Ledge Lighting, New Equippable Trinkets and More! Catching and Battling Gets Mo’ Epic on iOS with Mo’ Monsters! SAN FRANCISCO – Oct. 3, 2012 – Rumpus, a game studio that strives to create fun, beautiful and social mobile games, today announced an evolved take on catching, training, and battling with Mo’ Monsters. Available as a free universal download on iPhone, iPod touch and iPad devices on October 10, mobile monster enthusiasts must collect, develop and tactfully battle a cast of colorful characters in turn-based combat and timed events. While taking players to a deeper level of battling in real-time, the game will soon offer many social media features to allow fun amongst friends. Watch the trailer on YouTube to see the game in action! Continue reading Catching and Battling Gets Mo’ Epic on iOS with Mo’ Monsters! Big Win Football Scores a Touchdown! Hothead Games Goes for the End Zone launching the latest game in the Big Win series. Vancouver – Oct. 3, 2012 – Hut hut! After 200 million games played across the chart-topping Big Win Sports franchise, the long awaited American Football game is now available for FREE for iOS and Android gamers. See the game in action in the trailer. Continue reading Big Win Football Scores a Touchdown! Pocket God Episode 46 Released, Goes Viral. Literally. SAN FRANCISCO – September 26, 2012 – Attention all passengers headed for Apocalypse Island, an urgent travel advisory has been issued. 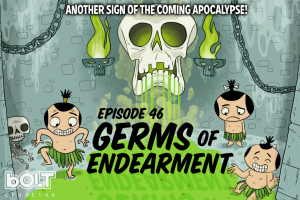 Due to a deadly plague of biblical proportions running its course through all of Pygmy-kind (released into the wild today by Bolt Creative in Pocket God Episode 46: Germs of Endearment), we strongly urge you to be considerate and cover your mouth while passing away into the afterlife in order to prevent further spreading of this malicious ailment. Also of grave importance, please stay away from the new—and aptly named—Plague Room, as the water contained in the fountain within this chamber is infected with the virulent disease. Continue reading Pocket God Episode 46 Released, Goes Viral. Literally. 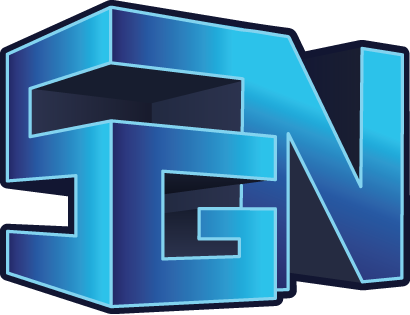 LOS ANGELES – September 19, 2012 – SGN, a leading developer and publisher of cross-platform social and mobile games, today announced that its popular Facebook game Panda Jam is now available for iPhone, iPad and iPod touch devices. With Panda Jam mobile, players can enjoy the same engaging gameplay that drove Facebook users to save over 200 million pandas, plus the added functionality of cross-platform scoring and social connectivity on-the-go.